With SuperUnknown just under a week away, one of the invited riders already knows she's a winner. 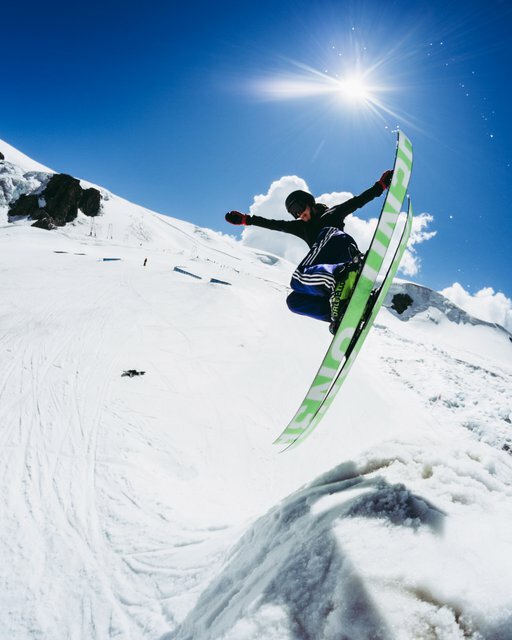 Giorgia Bertoncini is no stranger to the European scene, typically bouncing around from Austria to Italy, to Switzerland and back again, with a heavy bag of tricks and a solid love for skiing to back them up. She's been slowly making a name for herself on social media, and in the local scene, but SuperUnknown could and should be her big break. I first met her last summer on the Zermatt glacier, and was immediately blown away by her style. A friend who had already spent time in the Zermatt park that summer, had mentioned her to me before my arrival, but watching her ski only solidified the badassery that was described of her. Hailing from the northern part of Italy, in the town of Bergamo, Giorgia Bertoncini has been a skier since she was a kid. With a love for skiing passed down to her from her dad, she skied for fun as most do until she was nine years old, when she came in contact with a local ski club. Her dad continued to encourage her skiing, particularly in the realm of moguls. He told her that "if you can ski here, you can ski everywhere", something she believes to still hold true. Prior to pursuing park skiing, Giorgia was a part of the Italian mogul team, competing at FIS World Cups and even qualifying for the Olympics, though unfortunately had to step down from her contest career due to injury. It was during her time competing in the Europa Cup that she began to dabble in the slopestyle scene, but wasn’t until after recovering from her injuries that she began to pursue skiing for fun again in Zermatt after taking some solid time off. You’ve probably seen clips of Giorgia crushing the Zermatt park, as that has been her stomping grounds for the last few summers. Her progression there has been quick and impressive, something she credits to the creative atmosphere and build of Zermatt that isn’t offered anywhere else. 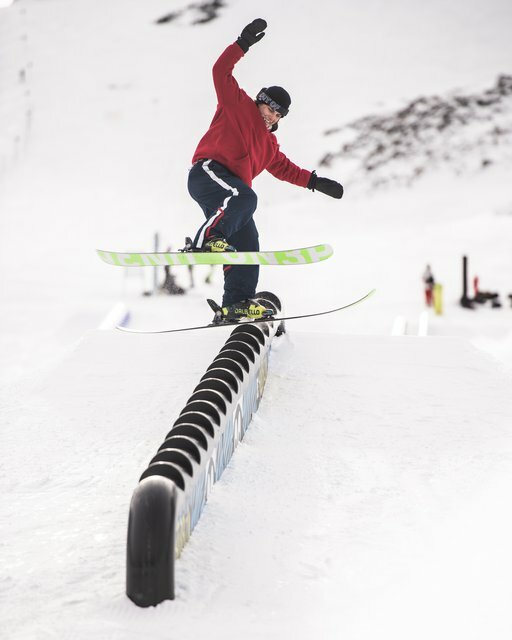 Unable to ski much in the winter season, Gio quickly figured out that Zermatt summer park was the best solution for her to ski and progress as much possible. Gio is the kind of skier who commits 100% to every trick, a trait duly noted by nearly everyone who has ridden with or watched her ski. She draws her inspiration from Instagram, “thanks to this social network we can for sure get inspired from many, many skiers all around the world”. 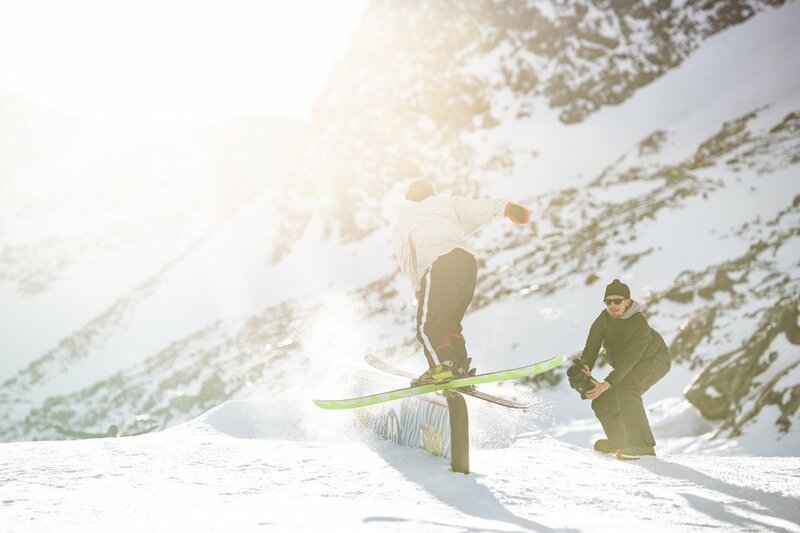 Whether or not you support the mass output of content via a platform like Instagram, it is true that having a consistent source for inspiration and ideas is an incredible tool for skiers who spend much of their time away from the epicenters of the scene. “I love watching girls like Taylor or Jennie Lee, or boys like Mango or Kai,” though she credits Andrin Tgetgel, who she skis with in Zermatt and also will be heading to Winter Park for the SuperUnknown finals, as one of her biggest inspirations. Keep an eye on this one, she’s a heavy hitter and isn’t slowing down any time soon. You can see more of this lil legend on the ‘gram, @burritogio.